Mr. Trujillo received his Master of Business Administration from the University of New Mexico and a Bachelor of Science from Westwood College. He is a graduate of Taos High School. 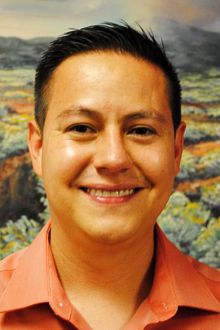 Mr. Trujillo is currently the Deputy Director for Public Employees Retirement Association of New Mexico. He is responsible for overall administration of the defined benefit plan for more than 36,000 retired members and beneficiaries and more than 70,000 active and inactive members. This includes overseeing an annual payroll of $920 million and approximately $45 million in member refunds. His past work experience included Chief Information Officer for New Mexico Educational Retirement Board, as well as IT Specialist.